Cover pencils by Curt Swan, inks by Neal Adams. "The Devil's Partner! 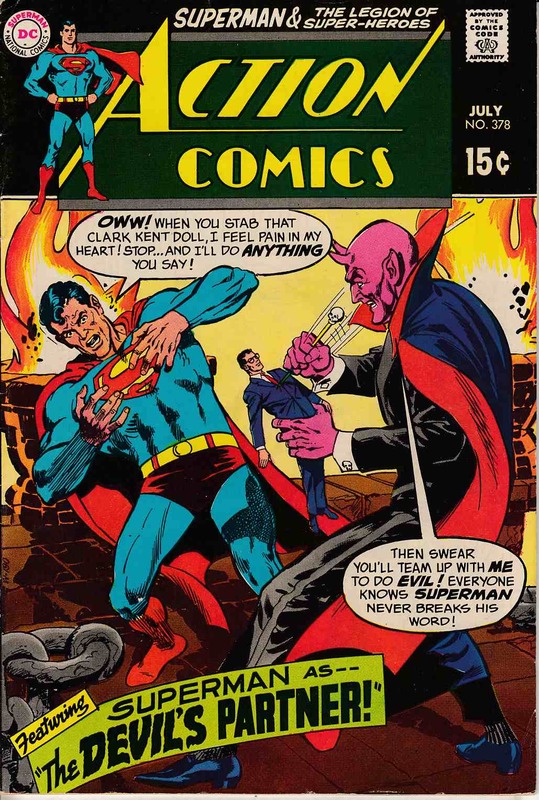 ", pencils by Curt Swan, inks by Jack Abel; Superman battles Satan, the Prince of Darkness, who turns out to be his brainwashed godfather Rol-Nac, sent by the Marauder. "The Forbidden Fruit! ", script by Jim Shooter, pencils by Win Mortimer, inks by Mike Esposito; Timber Wolf overcomes an addiction through will power.